Whether you&apos;re new to the Sacramento fitness scene or just dropping in for a few days and looking to maintain your fitness, Sacramento serves a vast variety of fitness needs scattered throughout the downtown grid and surrounding neighborhoods. Looking past the miles of riverfront trails ideal for running and cycling and the nearby hiking, if a group fitness class or personal training session is more your style, Sacramento provides countless options with many fitness studios offering free or discounted introductory sessions and student pricing. 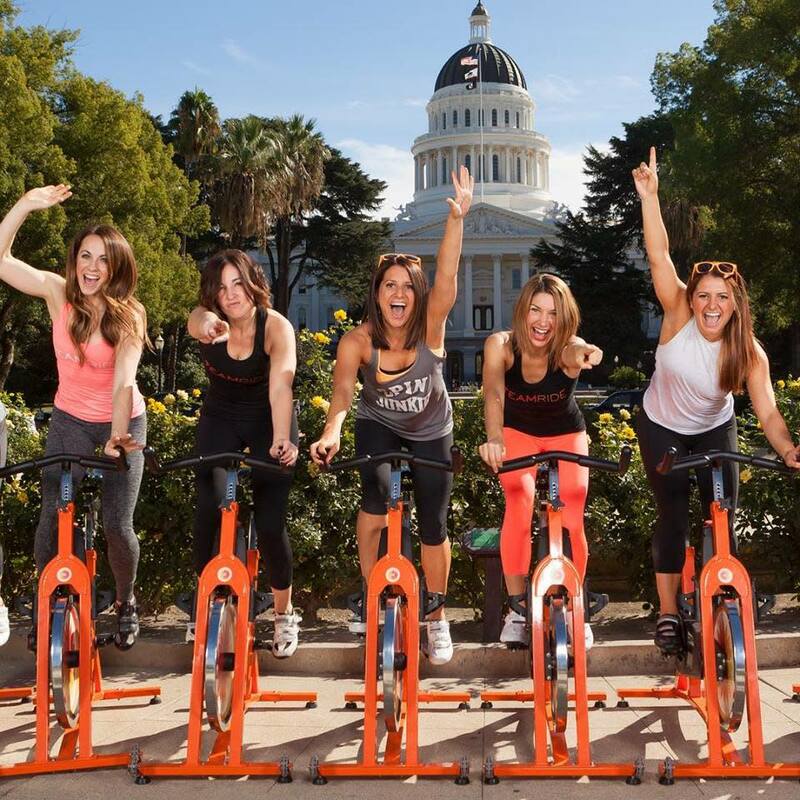 If you are in need of a high-energy, full-body workout pretty much any time of day in any corner of the city, the Sacramento&apos;s spin scene does not disappoint. Check out TEAMride in one of its two locations, either on N and 27th in Midtown, or H and 56th in East Sacramento. On the south side, Cycle Life, nestled in the gorgeous Land Park neighborhood at 2996 Freeport Blvd., has you covered. Your first ride is free at both TEAMride and Cycle Life. Have a workout program you are used to and don’t need travel to mess up your routine? 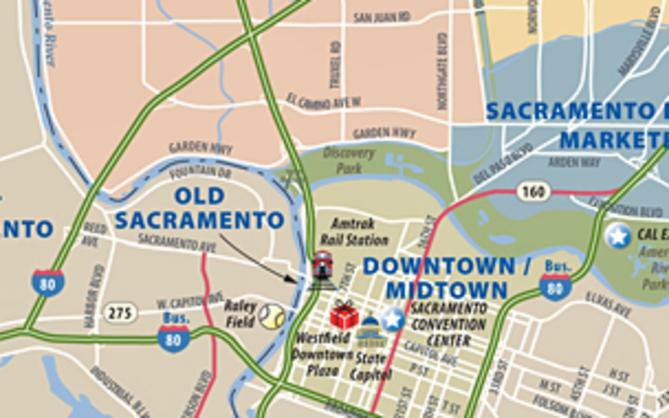 Drop in to these Sacramento locations of nationally recognized fitness studios. Orangetheory has two accessible locations. Find your trusted heart rate monitor workout at 2901 K St. in Midtown or 2095 Fair Oaks Blvd. in East Sacramento, or try your first class for free. Missing that Pure Barre burn? Head to the Ice Blocks at 1701 R St. or at 564 Pavillions Lane. Also in the Ice Blocks at 1610 R St., you will find TITLE Boxing Club for a full boxing and kickboxing workout. Need a workout on your schedule but still with the structure of an instructor-led class? Stop by 9Round at 19th and R for a unique kickboxing-themed workout. When in Sacramento, take the chance to work out as the Sacramentans do. If you need to lengthen and strengthen in a pilates or reformer class, come to Club Pilates on N and 21st streets or P2O Hot Pilates & Fitness on 20th and P. Or, try out the unique reformer classes at InstaPhysique at 2381 Fair Oaks Blvd. at a discounted price for your first class. When you need the variety of bootcamp-style workouts, try Fitness Rangers at 1717 34th St., or drop in to use the equipment for just $10 a day. Endurance athletes looking for strength and consistency can head to Dai Endurance, which will have a suitable class for you at 21st and N streets. Finally, enjoy the cozy atmosphere while feeling the burn at UBarre in East Sacramento at 924 57th St.
Where do we even start? If the sun is out and nature is showing off, you might find a free yoga in the park experience somewhere in the city on yogamovesus.org. For instance, free yoga at McKinley Park in East Sacramento is on Saturdays at 9 a.m. (seasonal), and free yoga at Fremont Park in Midtown is on Tuesdays and Thursdays at 6 p.m. (seasonal). Otherwise, there is no shortage of beloved local yoga studios to visit on the grid. For everything from beginner to hot yoga to Vinyasa, check out Zuda Yoga at 1515 19th St., Yoga Shala at 2030 H St., Solfire Yoga at 2613 J St., Yoga Seed Collective at 1400 E St., One Flow Yoga at 5600 H St. or Asha Yoga at 1050 20th St.
You&apos;ve got your shoes on, your Garmin has signal and you are ready to go, but maybe you could use some company. Drop in for a run with 9Run6 at the edge of Capitol Park on N and 10th street any Wednesday or Friday morning at 5:30 and 6. Yes, it’s early, but rain or shine you can find some runners to accompany you on your loop through Sacramento. More of an evening runner? You can find a group of welcoming Sloppy Moose Running Club runners every Thursday at 6:30 (except winter) gathering in front of New Helvetia Brewing Company at 1730 Broadway. Obviously, stay for a recovery beer after. Don’t know where to start? ask the experts at Fleet Feet running store at 2311 J St. for more local running information and to stock up on gear. Best of all, get your own running, walking or cycling tour with the Sac Tour Company. 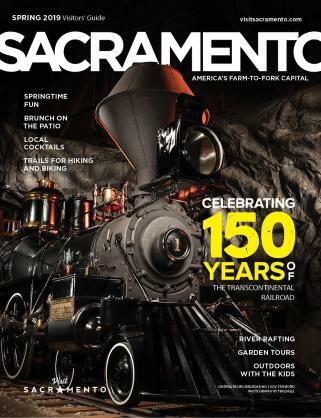 See local street art or learn Sacramento history while getting those miles in with a friendly and fun guide. If you know what you are doing and just need a gym with all the fixings, here are some places you can get your sweat on: You can find California Family Fitness downtown at 1012 K St. or 1671 Alhambra Blvd. Any day, anytime, drop into 24 Hour Fitness in Downtown Commons at 1020 Seventh St. If you&apos;re trying to see if you can work out next to Sacramento lawmakers, come to The Capital Athletic Club on 1515 Eighth St. Finally, use your local YMCA membership at the Sacramento Central YMCA at 21st and W streets, or get a day pass. When the urge to pick stuff up and put it down strikes, you can find CrossFit locations just a few blocks from your Sacramento hotel. ASAP Fitness at 1330 H St. has a variety of CrossFit times and offers an introductory free class. Also, voted the Best CrossFit gym in Sacramento, Anywhere Fit on 808 R St. features a variety of class times right in the historic R Street district. CrossFit Galvanize on 2120 20th St. offers a $20-a-day drop-in rate as well as discounted rates for students and those in the military. If you are feeling inspired to climb to new heights by free-climbing Sacramento native Alex Honnold -- whose rope-free climb of El Capitan is featured in National Geographic&apos;s "Free Solo" -- maybe start with some bouldering at the Boulder Field. With an easy connection via light rail to downtown Sacramento hotels, The Boulder Field climbing gym at 8425 Belvedere Ave. has a $20 day pass and introductory classes to get you started. There you have it: Never underestimate the amount of fitness this city can fit into roughly 4 square miles. We need a recovery day -- we are exhausted! 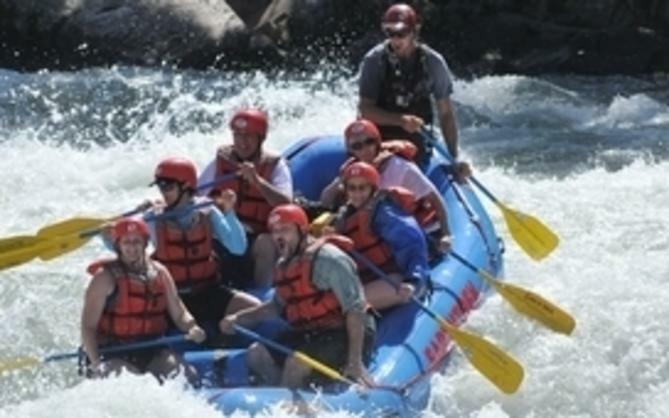 For more information on outdoor activities in Sacramento, click here.